The Film Agency took care of the 360º film marketing strategy of the Spanish release of El Botón de Nácar which mixed an event-driven strategy in Madrid, Barcelona and Valencia, with a day-and-date release in Filmin. 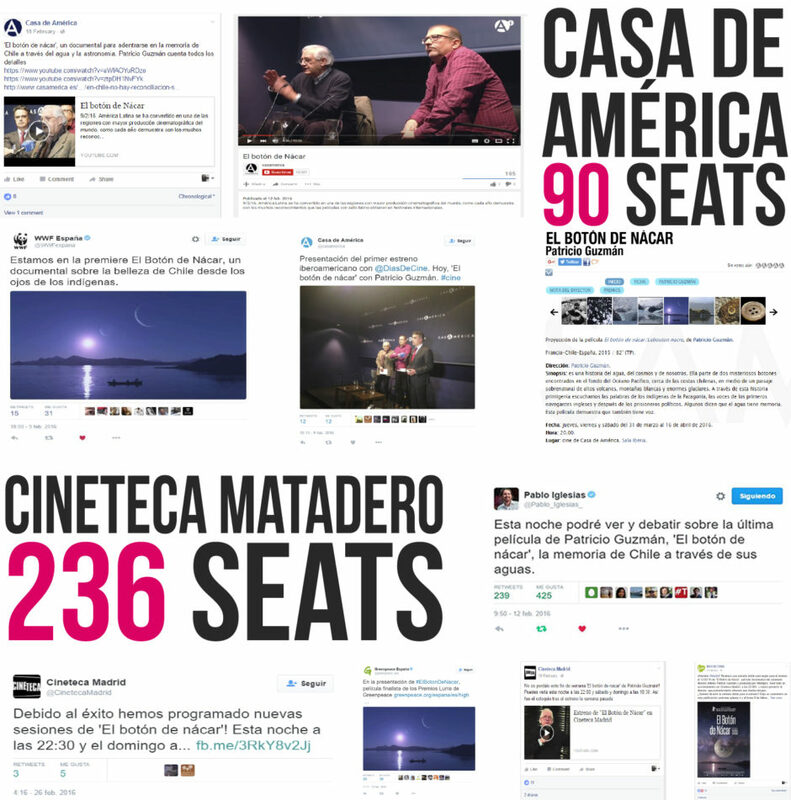 MediaPro produced and released this Patricio Guzmán‘s documentary in which the Chilean director thinks over the history of humanity through the depths of the ocean. “Some say that water has memory. This film shows that it also has a voice”. We had accompanied the promotion and awareness campaign focusing on grassroots communities: Casa de América and Cineteca Matadero held preview events with the presence of Patricio Guzmán who was interviewed by Pablo Iglesias, leader of the game-changer political party Podemos. To hit interested communities we made special collaborations with NGOs such as Greenpeace, WWF and Amigos de la tierra and Universidad Complutense, Universidad Carlos III and Universidad Jaume I. 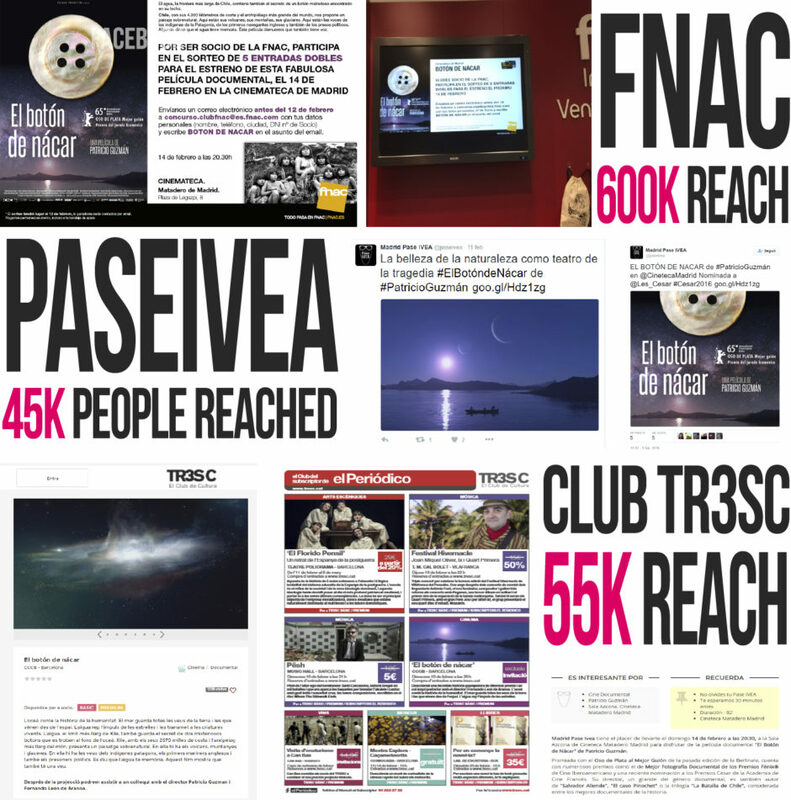 Besides, we have activated cultural brand alliances with Fnac, Pase IVEA and Club TR3SC who gave visibility on their digital communication channels through contest and draws. We also established media partnerships with mass specialized media such as El Pais, Correo El Sol and BioCultura. 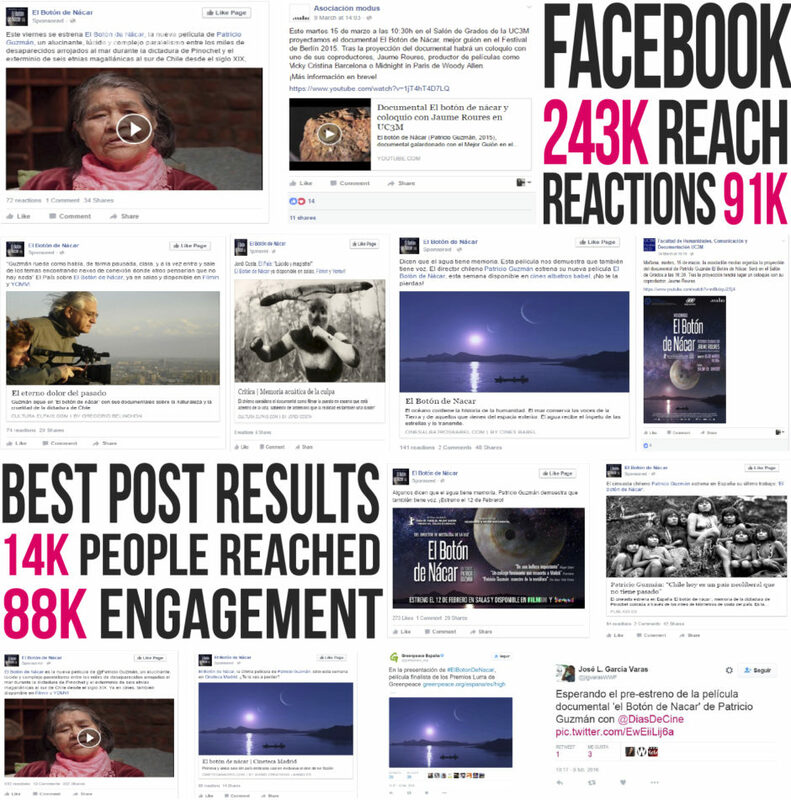 The strategy was complemented by a geo-targeted and highly-segmented film social media campaign running Facebook Ads and contents across the different cities of the release.